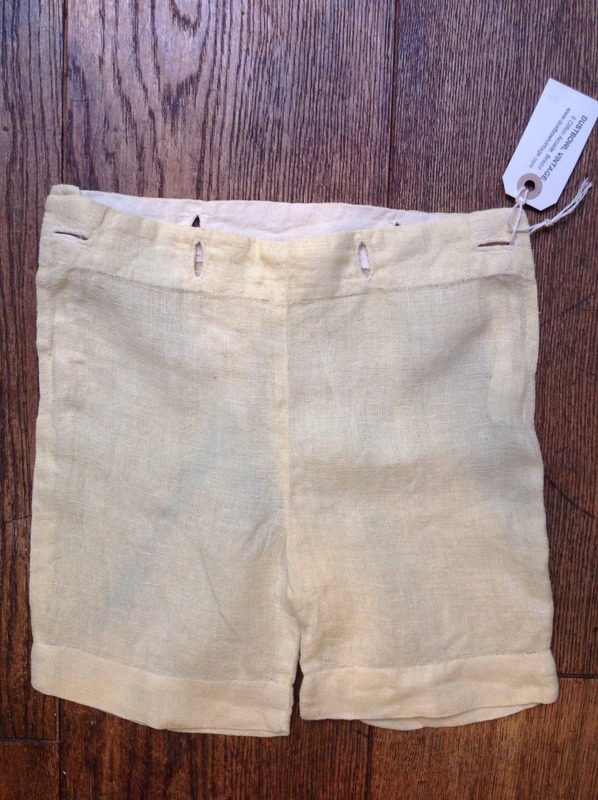 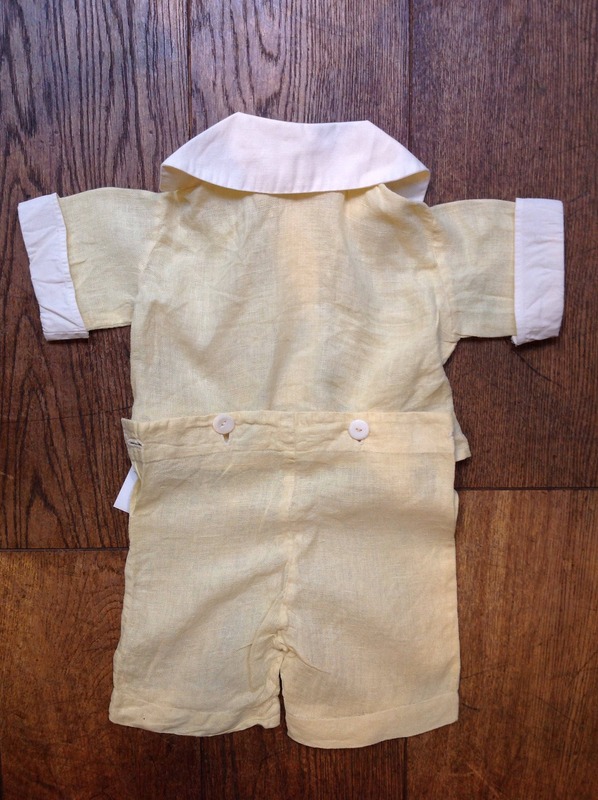 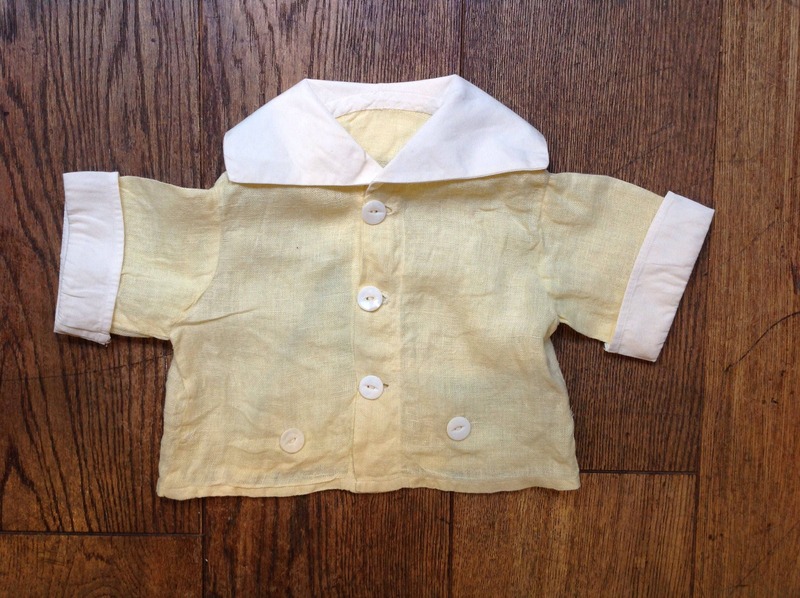 A pale yellow baby top and shorts set dating from the 1940s. 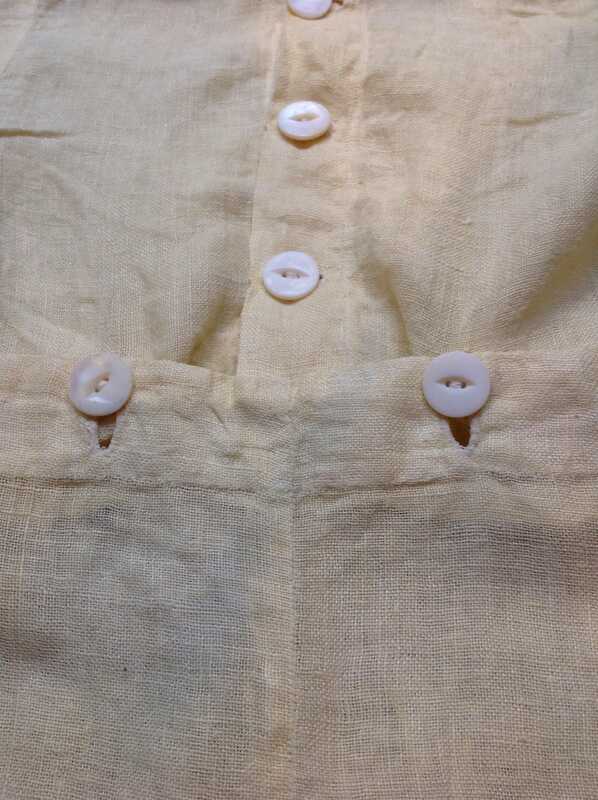 Noted flaws - missing the two side buttons, which fasten on to the shorts. 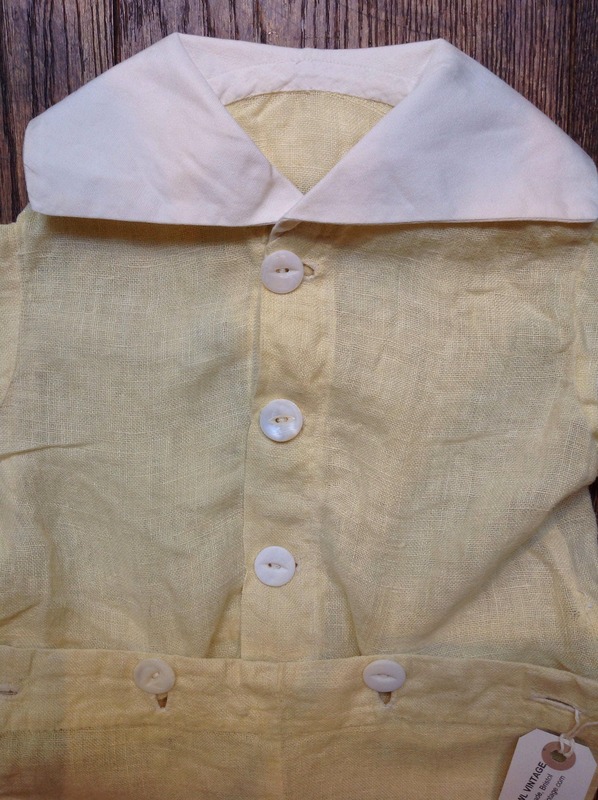 Excellent condition otherwise, soft linen fabric, white cotton collar and cuffs, suitable for boys or girls, perfect for reenactments, vintage events or a special occasion. 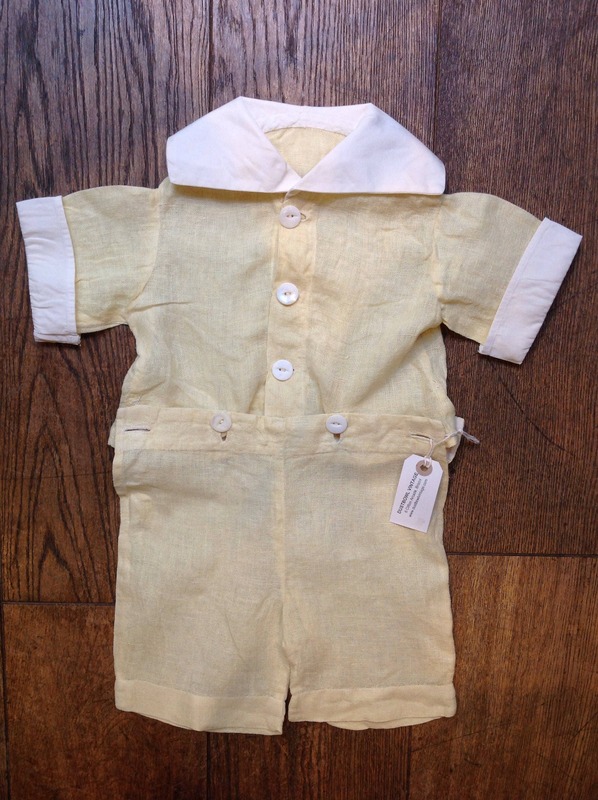 Suitable for approximately age 6 - 12 months, but please compare the measurements provided with an item of your child's to ensure a good fit.